As I was leafing through my Sunset Magazine (thanks for the subscription, Dad! 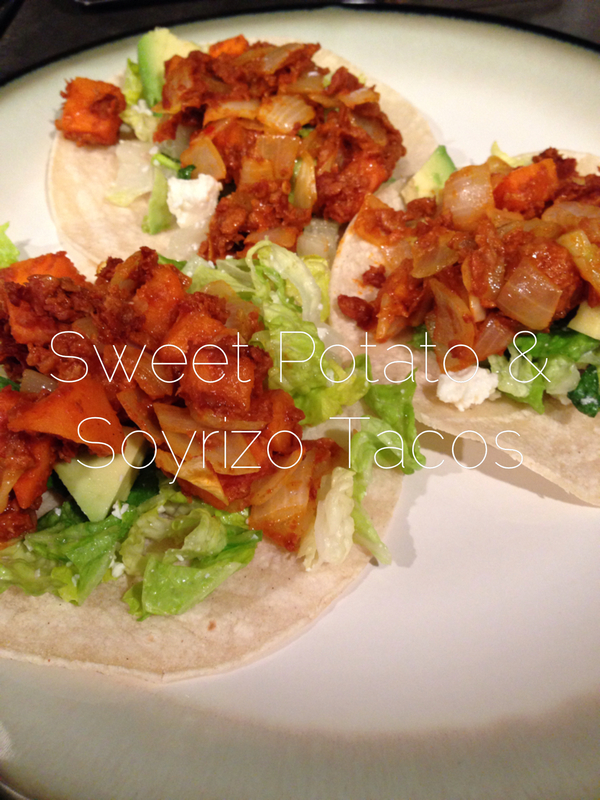 ), I came across a recipe for sweet potato and chorizo tacos. Since I don’t eat meat, and I happened to have soyrizo in the fridge, I decided that this recipe must be tried. One of the best things about this recipe is that you don’t need a ton of ingredients, so it won’t cost you and arm and a leg to try something new. You can find the recipe here. Mine didn’t look nearly as pretty as the mag, but I promise, the flavors were fantastic together. This recipe was quick and easy, making it something we will definitely do again. OMG, Now I really do have to get out for lunch. I have been starving and after seeing that, my mouth is watering!! I’m suppose to meet Nancy for lunch, but she took her sweet time getting out here! !